Budget Marine Antigua has three locations in Jolly Harbour, English Harbour and North Sound Marina. The store in North Sound is located on the northern side of Antigua on Crabbs Peninsula on the North Sound Marine Services boatyard. Unlike most Caribbean boatyards, almost all boats are stored on concrete and it is surrounded by infrastructure with more boat storage. 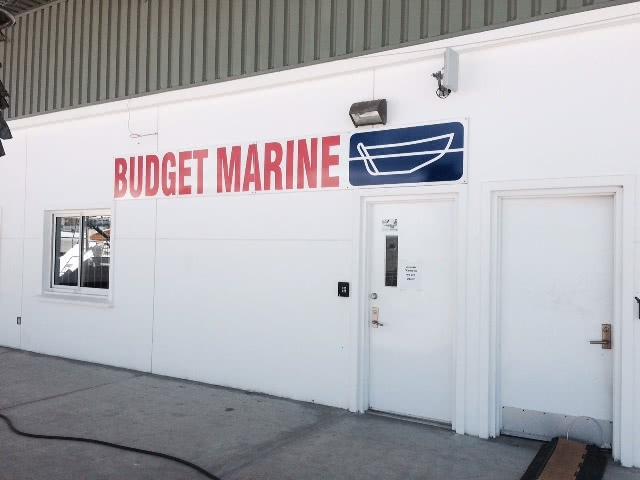 The Budget Marine North Sound outlet is committed to providing all the typical boatyard requirements, including fasteners, cleaning products and support material for Antigua’s skilled artisans, refit specialists, joiners, painters and electrical contractors. We offer the largest selection of marine products in Antigua and can supply from a substantial stock or import directly to avoid import taxation for foreign yachtsmen and local fishermen. We have ample customer parking and are placed right in the North Sound Boatyard. Budget Marine can supply marine equipment at international prices to Yachts in Transit meeting criteria defined by Antiguan Customs. From stock: ABST can be waived. From foreign supply consigned to yacht: ABST and Import Duty can be waived. Order an item we have in our main Jolly Harbour store before 3pm and receive it the following day. Arrangements can be made for on island delivery of bulk buys and heavy products, as and when the company vehicle is available. Customers must open a credit account with Budget Marine Antigua. Credit extended from other locations is not valid here. To apply for a credit account, please come in to the store to complete the credit account form. Deposits may be requested when opening an account. The price stated on our website are in US dollars and applies to the St. Maarten location for those customers that are Yacht In Transit, Export Customers or Non Residents that provide proof of this status. Prices in Antigua will vary due to local taxes and duties as well as different shipping costs. We are committed to giving you the best possible pricing.